Ah, New York, New York! It is indeed the place to see trends, and this trip was no exception! As soon as we landed and Ubered to the hotel, we dropped our bags and headed out to 5th Avenue. 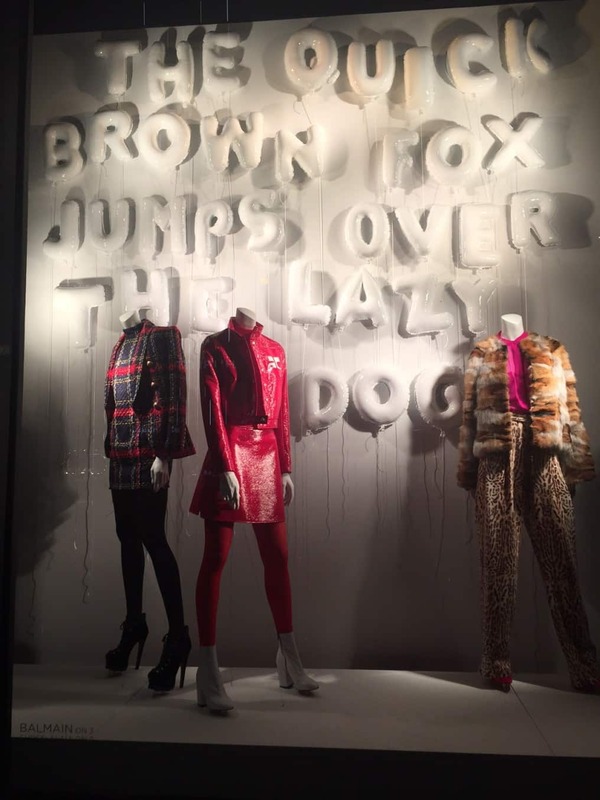 First stop, the incredible windows at Bergdorf’s – the best in New York! 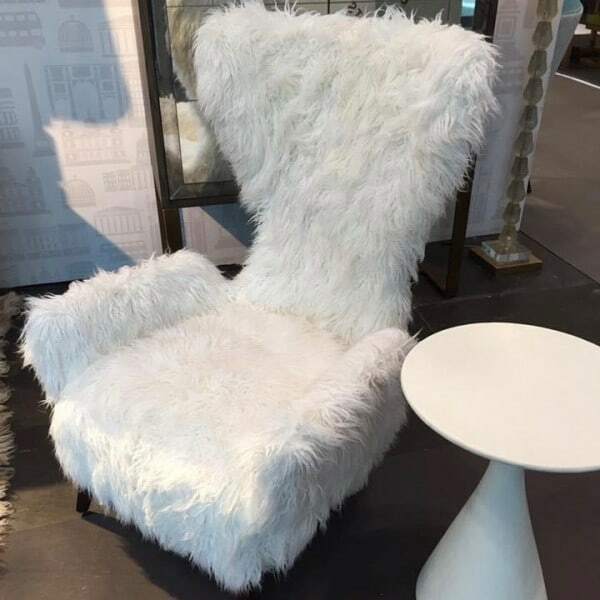 We saw feather and fur trim for men and woman on everything: frocks, evening gowns, belts and shoes, handbags, even headphones and accessories. The texture of feathers and fur, both faux and real, were mixed freely with richly woven fabrics, velvets, leathers and corduroy’s. 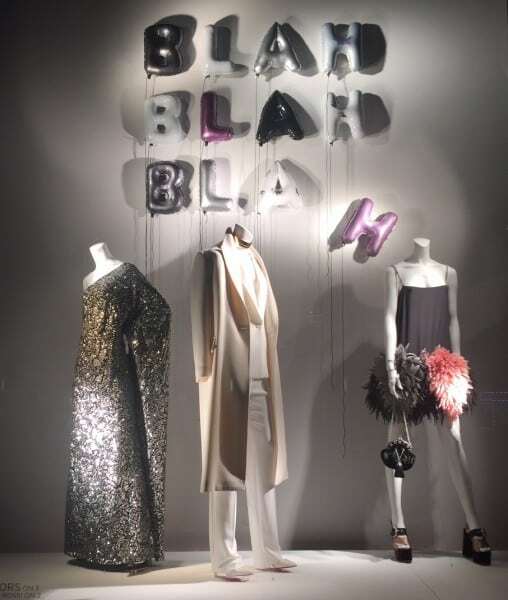 Add to the mix faux gemstones, felted flowers, and embroidery and you have a good feel for the trends shown at Prada, Bottega Veneta, Gucci, Ferragamo, Louis Vuitton and Valentino – a story consistent, shown loud and clear. 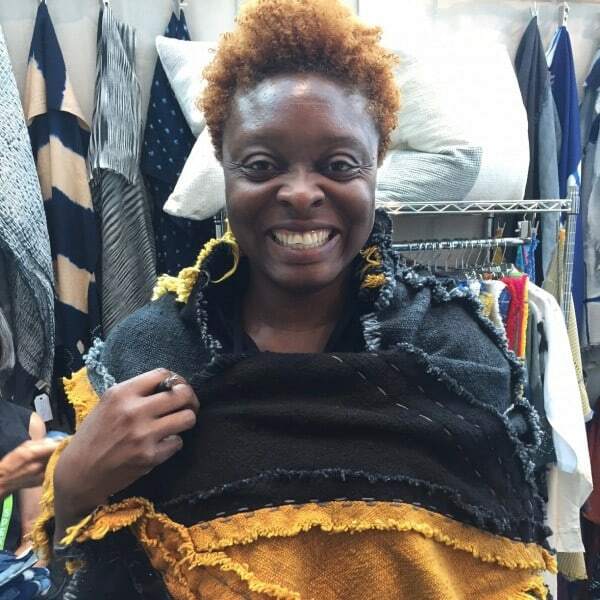 The next day at the NY NOW trade show we started in the Handmade section where many of the fashion trends that we’d spotted while window shopping the night before were front and center in the home market, too. Felt and hand-knitted goods: Felted Christmas ornaments, wall coverings, benches, and even baby shoes and a cat house for your favorite pet. 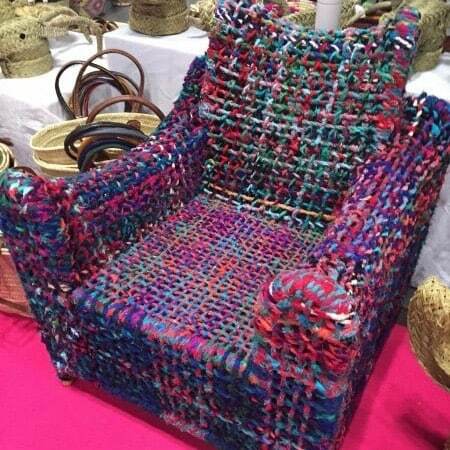 Knitting was on a huge scale with the thickest yarns we’ve ever seen, covering furniture, walls, throws and pillows. Tribal: Goods from Africa (and now some imposters) continue to have a strong presence. 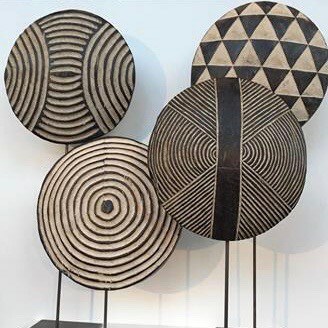 Vintage Kuba cloth and new Mud cloth printed fabric made into pillows and throws in indigo and bleached white cotton, elaborately beaded headdresses, fresh new and oversized contemporary baskets, and wood carved masks, staffs and ceremonial objects on iron stands. 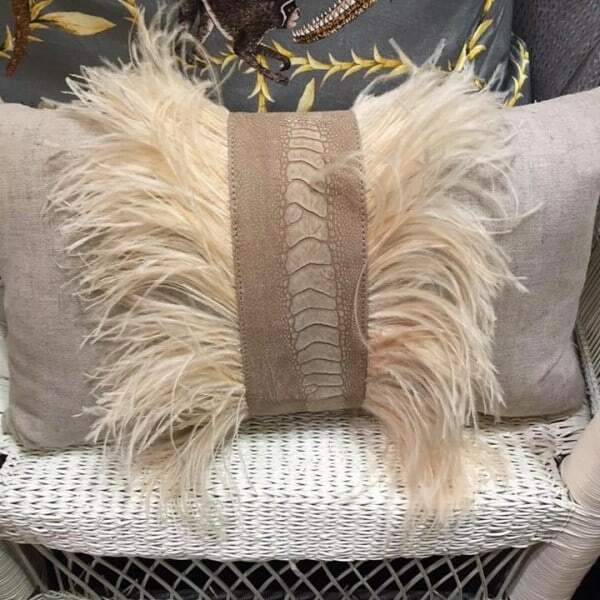 Fur, Feathers and Shells: Last year’s Tibetan Lamb throw pillows was joined by sheep skin upholstered chairs and ottomans, faux fur trimmed indigo blankets, a leather braided stool, feather trimmed pillows, chest’s veneered in Pen shell or even Parchment. 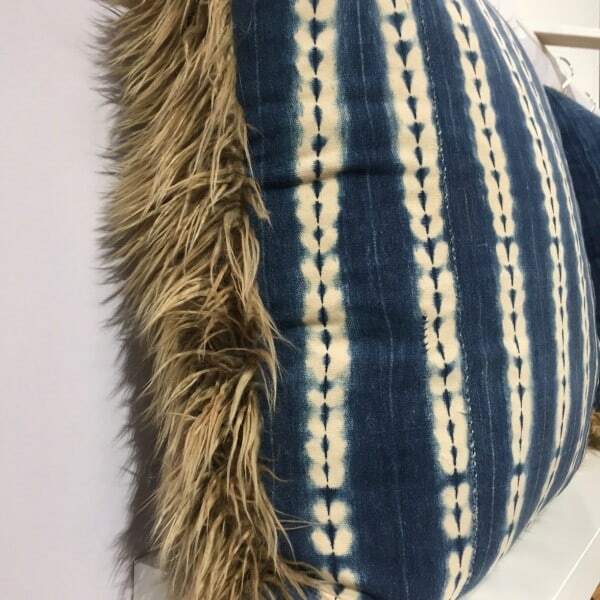 Indigo: This color remains strong and was also added to accessory categories like lamps, mirrors, colored raffia boxes. 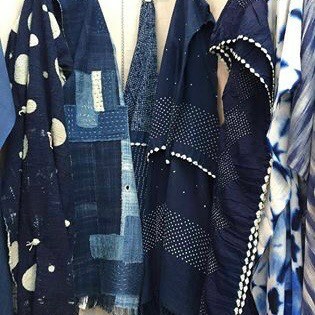 We particularly liked the more organic use of indigo when on richly woven natural fabrics like cotton and washed linen. Is Global design a trend? Oh, only for thousands of years. 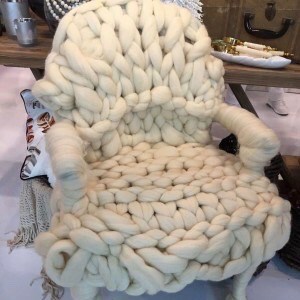 It’s just recently that America has embraced the international beauty that indiginous craftsmen have exhibited for generations. Cabana Home loves the organic materials, the geometric patterns and natural hues inherent in world arts. And Bergdorf’s is just catching up.